SEPTA Regional Rail passengers board a train at Jefferson Station. The Southeastern Pennsylvania Transportation Authority (SEPTA) unveiled on Saturday new weekday schedules for some Regional Rail lines. The updated schedules, which go into effect on Monday, will feature seven new trains and adjusted service on another seven trains across five lines. The following lines will be affected: Glenside Combined, Lansdale/Doylestown, Trenton, Manayunk/Norristown and Warminster. 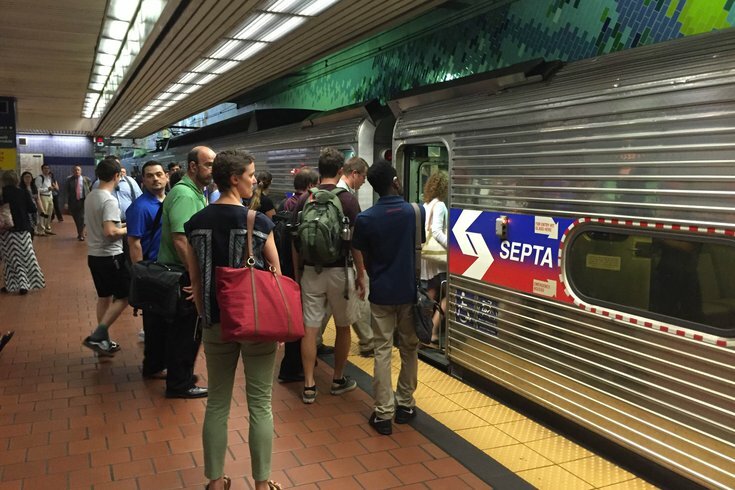 The added trains were made possible by newly leased cars, SEPTA officials said. All other lines will continue to operate on the interim schedules that were set in July. SEPTA also announced that 100 additional parking spaces will be available at Radnor Station on the Norristown High Speed Line. Throughout the summer, SEPTA has worked to enhance service after discovering a defect in its SilverLiner V cars, which led to the removal of 120 cars from service. Earlier this week, SEPTA announced that Regional Rail service should return to normal in October.